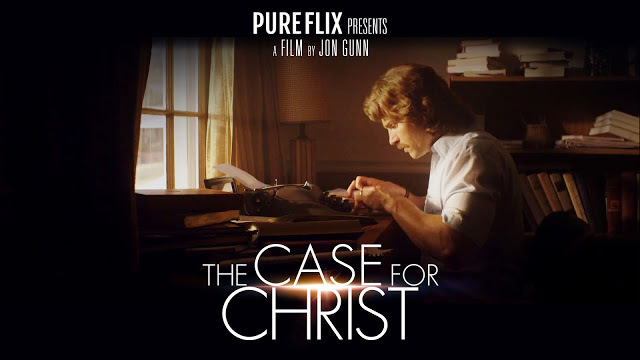 Lee Strobel’s award-winning bestselling book based on a true story about a hard-driving investigative journalist and avowed aethieist (Strobel, played by Mike Vogel) who applies his well-honed journalistic ­and legal skills to disprove the newfound Christian faith of his wife… with unexpected, life-altering results. Strobel was exactly where he expected to be at work: on top. His award-winning investigative reporting recently earned him a promotion to legal editor at the Chicago Tribune. But things weren’t going nearly as well at home where his wife Leslie’s newfound faith in Christ went against everything Lee believed—or didn’t believe—as an avowed atheist. An ideal Easter-season movie for anyone who has pondered the existence of God and what role He could play in their lives from Pure Flix Entertainment, the people behind the 2014 box-office hit God's Not Dead. Starring Mike Vogel (Cloverfield, The Help), Ericka Christensen (Flightplan Parenthood TV Series), Faye Dunaway (Chinatown), and Robert Forster (Jackie Brown, Olympus Has Fallen) and directed by Jon Gunn. "The Case for Christ" opens in Philippine cinemas April 7, 2017 from Rafaella Films International.